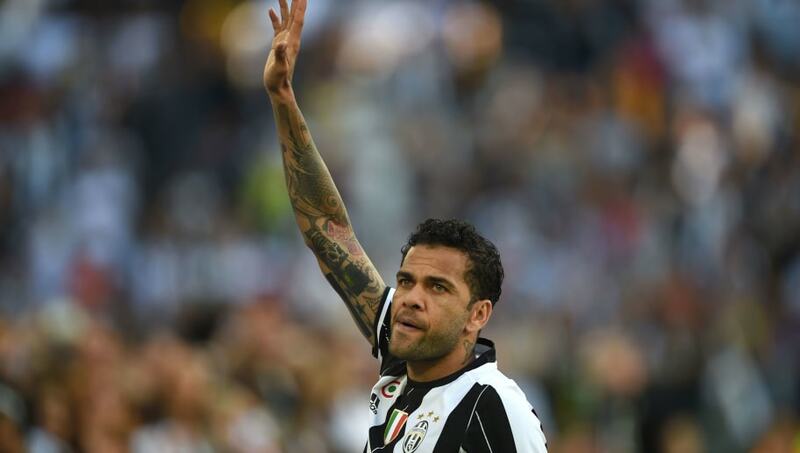 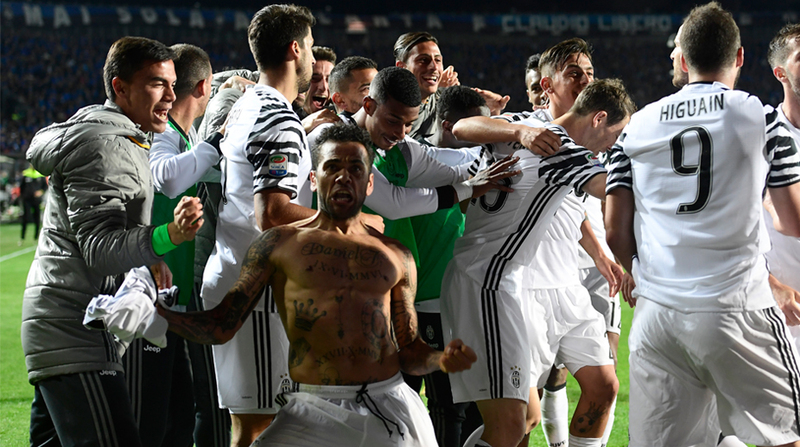 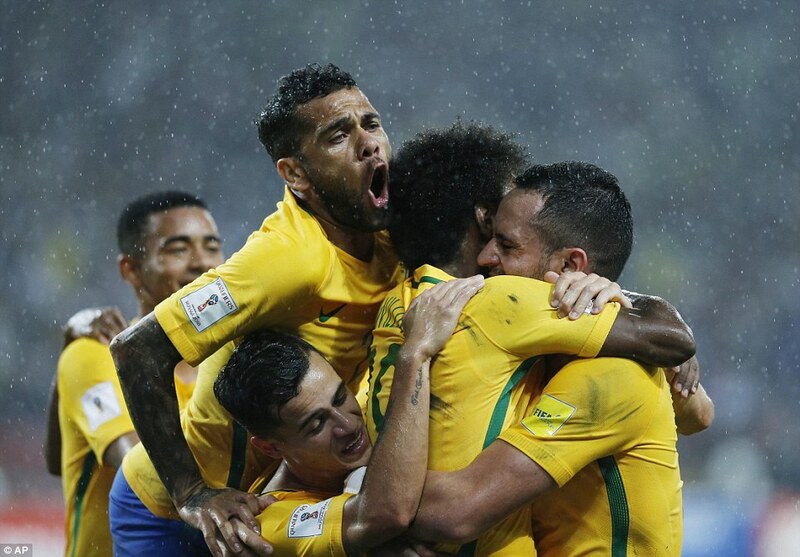 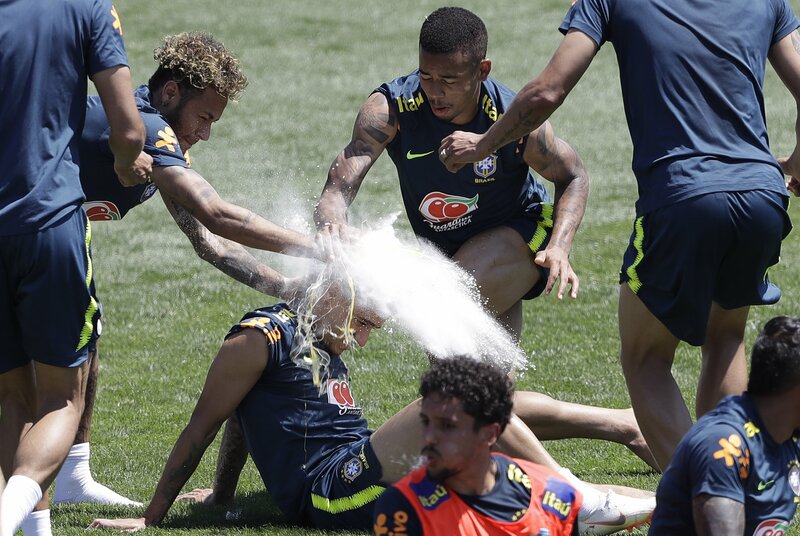 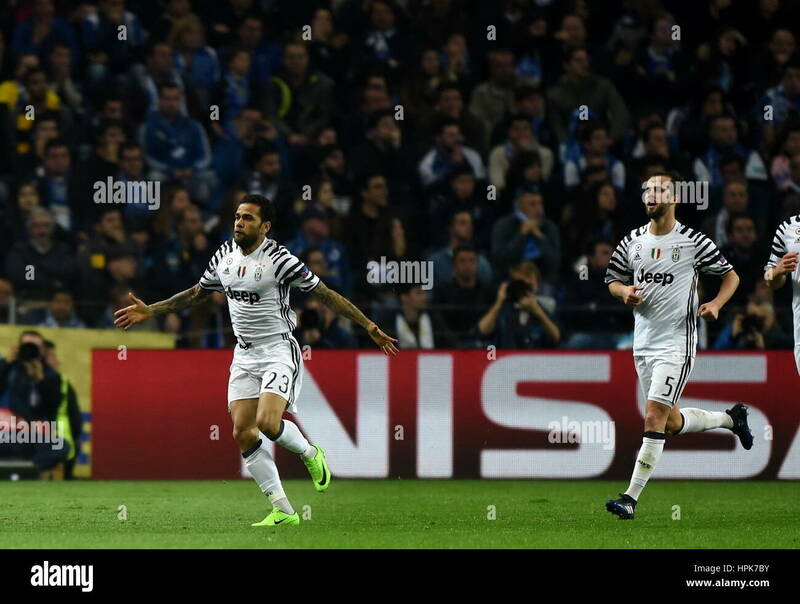 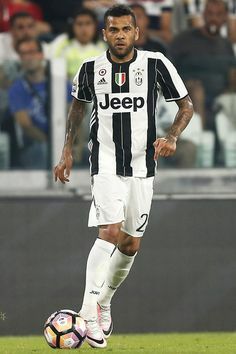 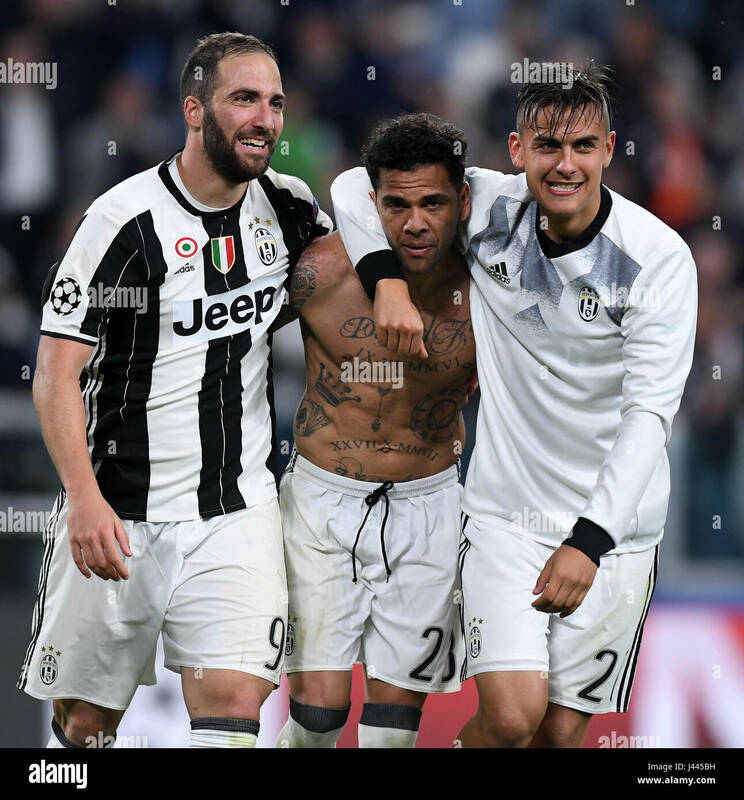 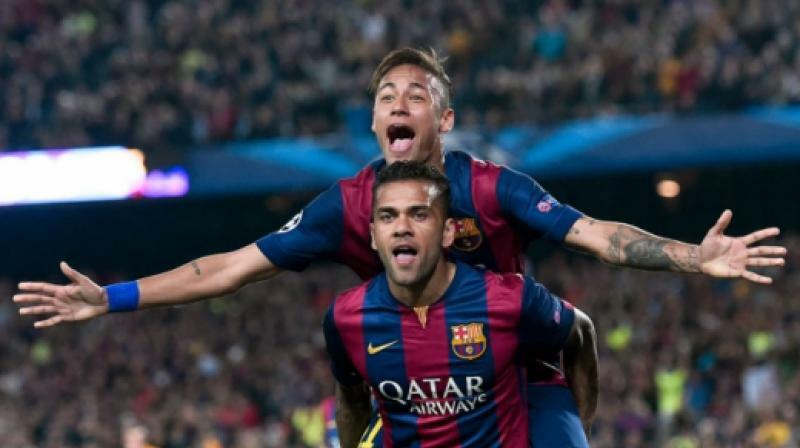 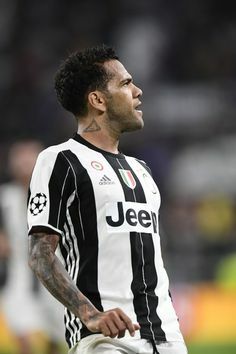 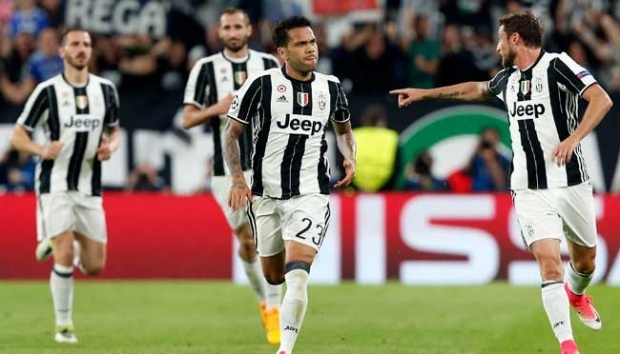 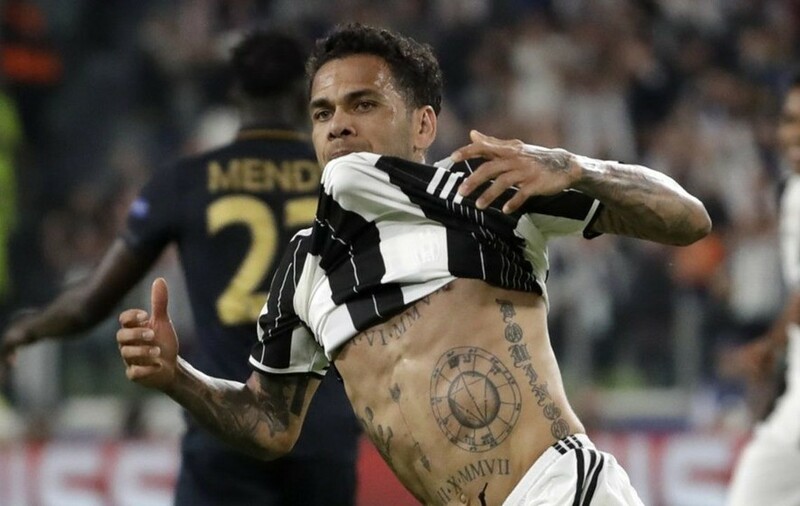 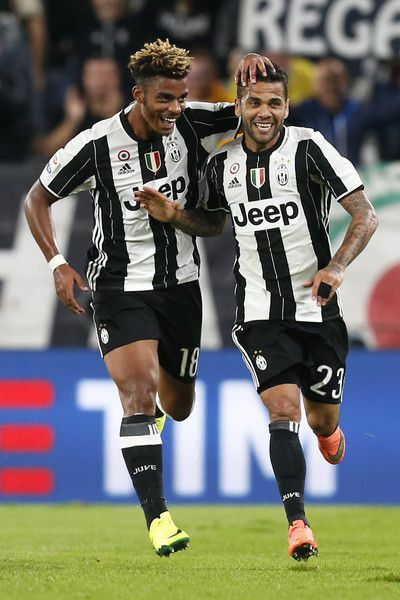 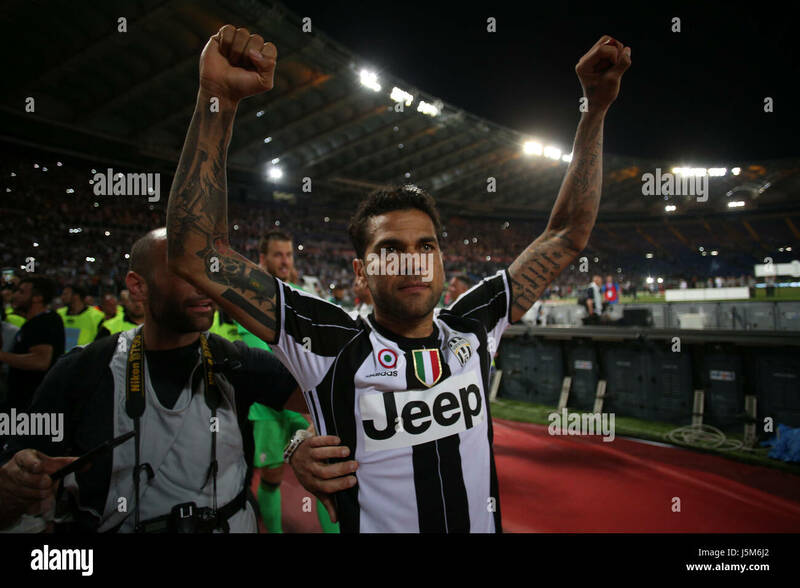 Juventus Defender from Brazil Dani Alves (R) celebrates with teammate Juventus' midfielder from Italy Claudio Marchisio. 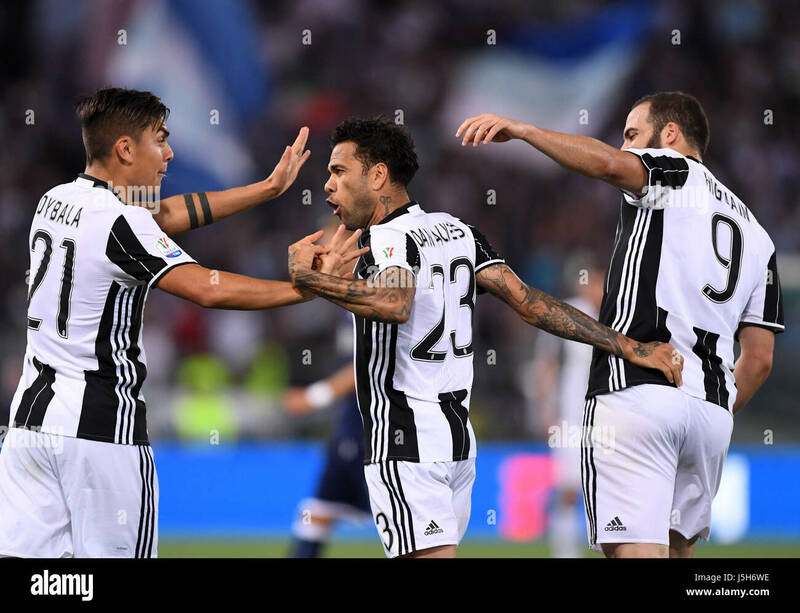 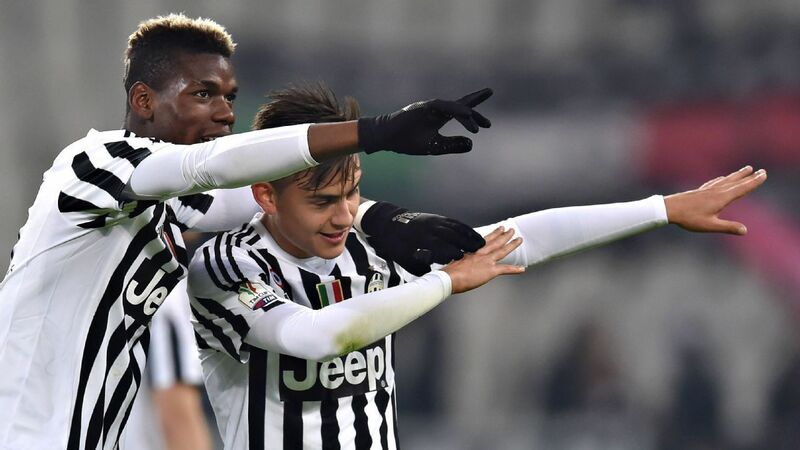 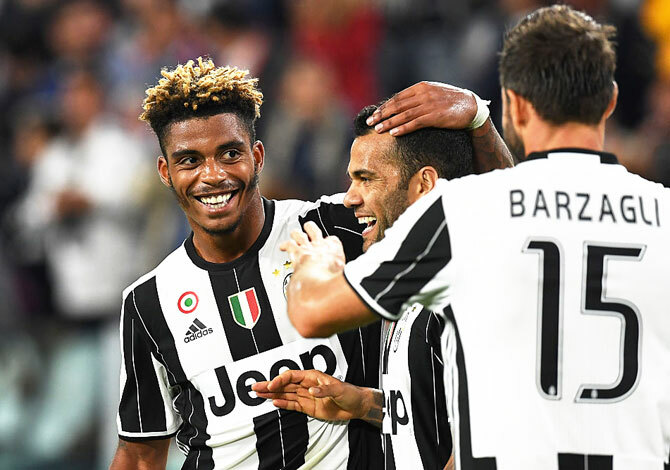 Juventus' scorer Dani Alves, center, and his teammates Claudio Marchisio, right, and Gianluigi Buffon. 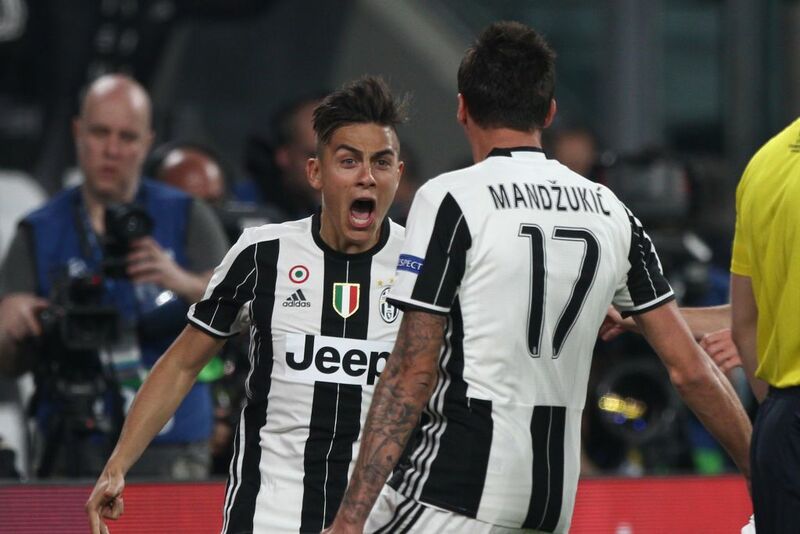 17.05.2017. 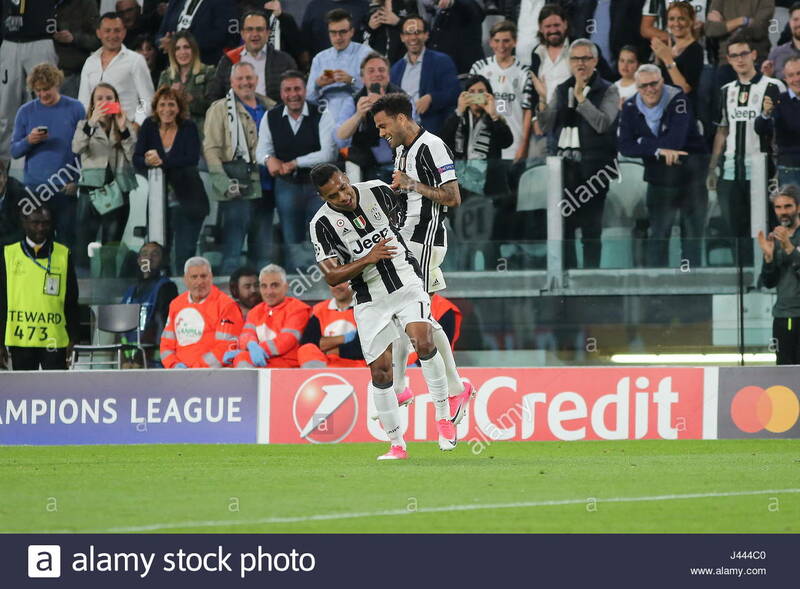 Stadio Olimpico, Rome, Italy. 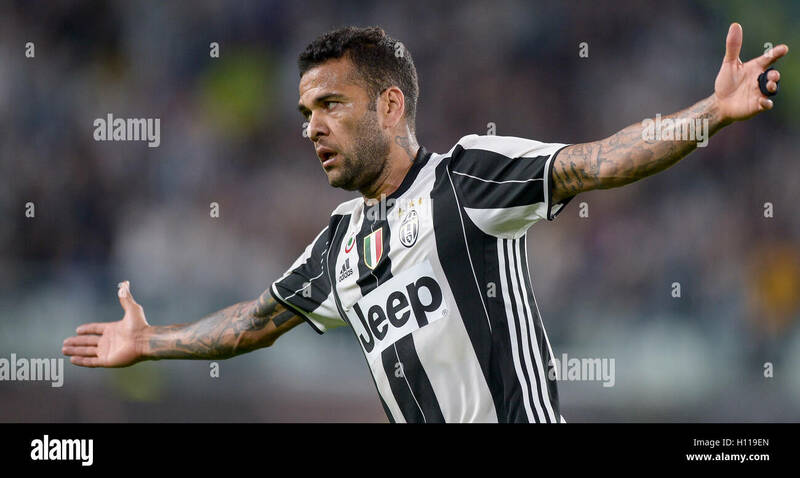 TIM CUP FINAL MATCH. 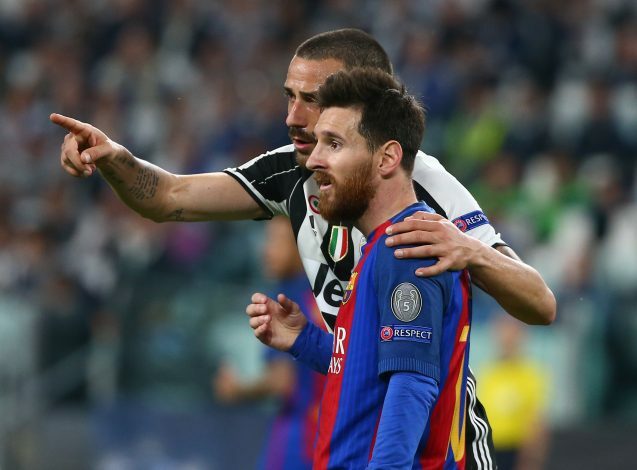 Juventus' Leonardo Bonucci speaks to Barcelona's Lionel Messi. 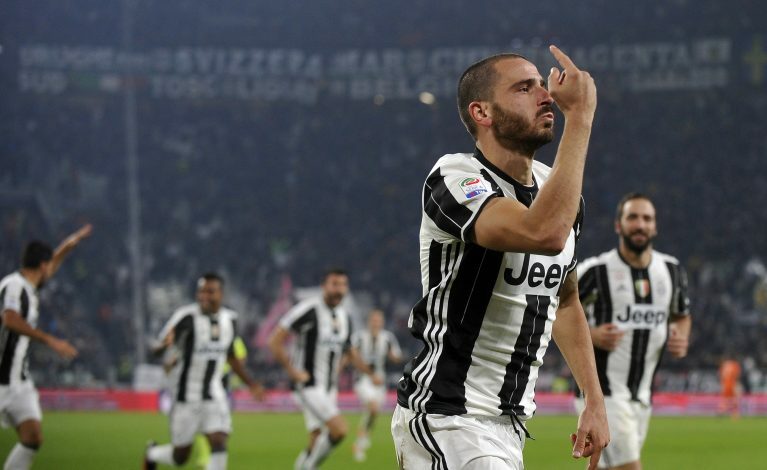 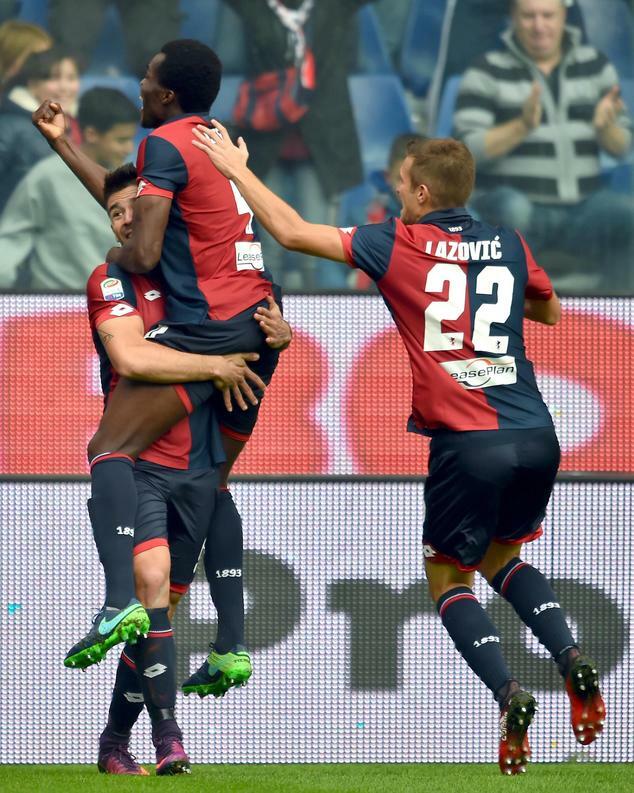 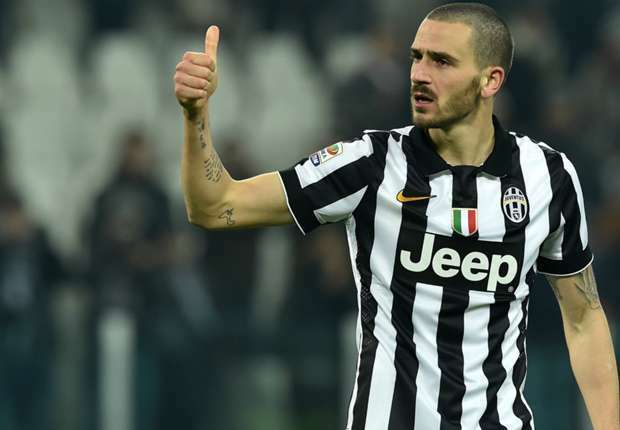 Leonardo Bonucci celebrates after scoring. 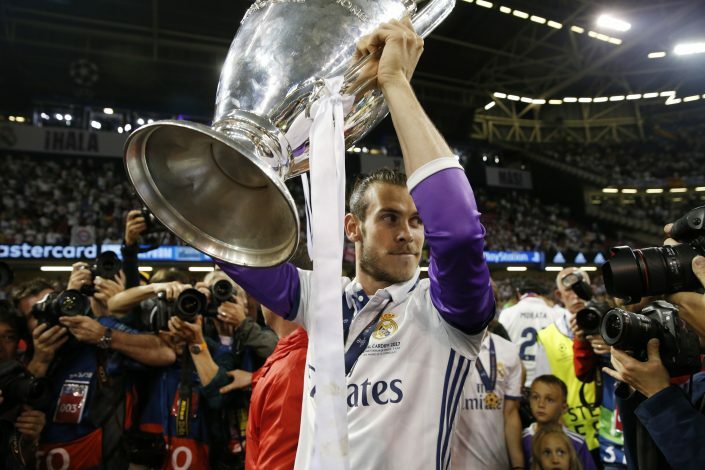 Real Madrid's Gareth Bale celebrate with the trophy after winning the UEFA Champions League Final.